We build our practice on preventative education, timely response and practical resolution. The Weissman team of construction attorneys has extensive experience in the representation of virtually all participants in disputes involving owners, developers, general contractors, condominium and homeowner associations, trade associations, engineers, architects, and subcontractors. Because disputes can be costly in money, time and relationships, we take a pragmatic approach to construction disputes. First, we offer preventative counseling aimed at avoiding them. Second, if they arise, we try to resolve them informally, quickly and inexpensively. Third, for disputes that cannot be informally resolved, we resolve them through alternative dispute resolutions proceedings, such as mediation and arbitration, which typically involve less time and expense. Finally, if court is necessary, we vigorously—but cost-effectively—pursue our clients’ position. Collectively, Weissman construction lawyers have over 150 years of construction-related experience. As a result, we are frequent speakers and authors on construction-related topics. 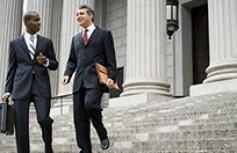 Unlike many construction lawyers, most of our construction lawyers also have broad experience in related real estate matters, such as real estate documents, lending issues, zoning, condemnation, environmental law compliance, title issues, title insurance, easements, covenants, encroachments and ad valorem taxation. This related knowledge greatly enhances our ability to serve as construction counsel because construction disputes are almost never only about construction issues. Most of our construction lawyers have also served as mediators and arbitrators in construction disputes. Because most construction disputes are resolved through mediation or arbitration, our lawyers bring a valuable perspective that other construction lawyers often do not have.